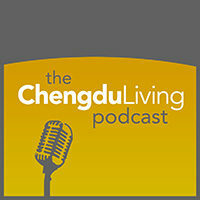 Chengdu Living is a blog about life in China and more specifically Chengdu: home of the pandas and capital of Sichuan Province. Interested in supporting us by placing an ad? Click here for more information. Interested in contributing as a writer? More info here. We aim to capture and record the fascination and appreciation we have for Chinese culture and language – especially as it is found in Chengdu and Sichuan – and present it in a relevant way to readers around the world. 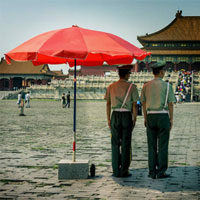 Aside from striving to illuminate the quirky facets of life in Chengdu in blog posts, we also enjoy producing magazine style feature articles which delve further into issues that deal with China on a broader scale. We also have an active forum populated by local residents discussing issues relevant to people living in China or Chengdu. We’re here to share lessons we’ve learned in our time here, reflect on the issues important to Chengdu, and foster a community of readers and writers who share our fascination. Thanks for visiting and if you’d like to send us a note, don’t hesitate. 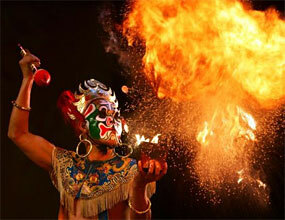 To learn more about Chengdu, check out some media coverage of Chengdu from mainstream sources. 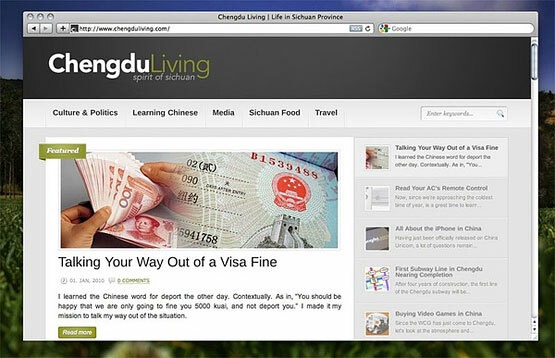 Chengdu Living is authored by a handful of contributors who’ve cooperated to make the site as comprehensive as possible. Although we’re all American, we have very different backgrounds. Here you’ll find some basic information about who we are. Between performing DJ gigs all across China, Charlie conceived of Chengdu Living in the summer of 2009. After several months of preparation, development and content production, the site went online on the first day of 2010. A modern renaissance man, Charlie is a freelance graphic and web designer, touring DJ and founder of local music collectives like Disco Death and Dojo. By day he’s a creative director working at Tap4Fun in Chengdu’s Tianfu Software Park. 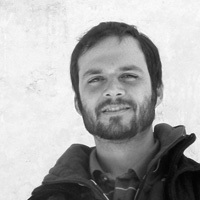 Sascha is a German-born American writer currently based in Minneapolis, after living in Chengdu for 12 years. 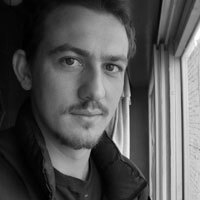 Recently he’s been working on The Last Masters, a documentary project chronicling modern movements of China’s ancient art of kung fu. Sascha has made the trip up (and down) the Horse and tea Trade Route enough times to claim coolie status. 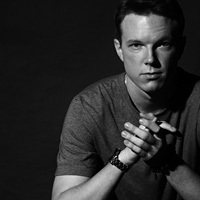 Eli is an Atlanta-born rapper and Sinophile who has been living in Chengdu for over eight years. He has toured China as a rapper and a costumed pirate and he once once swam across the Yangtze river in downtown Chongqing. He currently works in the energy industry and still records hip hop music in his spare time, living in the Yulin neighborhood in the South of Chengdu. Dan first came to Chengdu in 2011, making good on his plan to live in China. 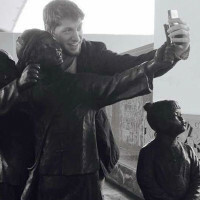 After 2 years as an Editorial Assistant at ChinaFile in New York, Dan is now back in Chengdu doing his best to be an participant in the community. Besides writing and editing the Chengdu Living Podcast, he runs Chengdu Living’s Facebook page, mixes music, and coaches soccer. 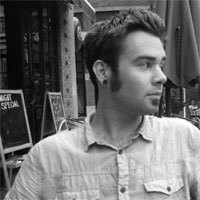 Dan loves public radio, painstakingly crafted WeChat Moments, video games and frisbee. If you see him, ask about his frisbee. 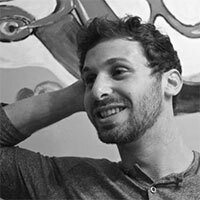 Zak Dychtwald is a writer and consultant from Berkeley, California and living in Chengdu. He has been back and forth between China since 2011 and living permanently in Chengdu for the last year and a half. Literature, history, traveling, Weibo, Wechat, and an over-involved landlord help him make sense of modern China. Reed has been working in China for six years. He’s spent the last several years growing his multi-language tutoring center through the ranks of small foreign language schools managed by foreigners. He’s been working for several years as a voice actor and as an agent for voiceover actors from all over the world. Reed is now studying toward a Masters degree in Teaching Chinese as a Foreign Language, and is one of the most proficient Chinese speakers who we’ve come across in Chengdu. He’s been involved in Mandarin academically for over ten years. In his free time Reed enjoys what he calls his ‘4R’s: recording, reading, writing and Rubik’s Cubes. 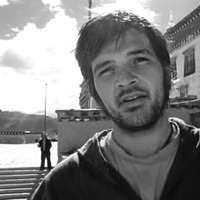 Elias is an American writer who first came to Chengdu in the aftermath of the 2008 Sichuan Earthquake. When he’s not juggling duties between international non-profit organizations, you’ll spot him slapping bass or on long-distance cycling treks. Having several pieces published in prominent indigenous rights and environmental publications, he has been Chengdu Living’s foremost environmental enthusiast. After living in Europe as a student for several years after leaving China, Elias has returned to the United States.